Since the introduction of smallpox vaccination more than two centuries ago, vaccines have been—and still are—instrumental in the prevention of infectious diseases. 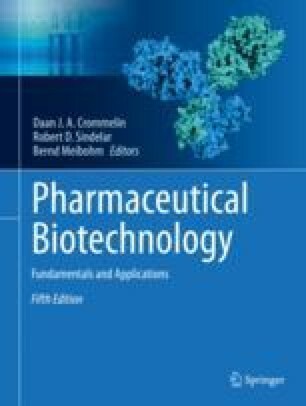 Nowadays vaccines form a heterogeneous group of pharmaceutical products that differ in several aspects from other biopharmaceuticals. In this chapter, after a brief introduction we first cover immunological principles that are important for vaccine design. Next, we give an overview of the different vaccine categories and current approaches to vaccine development, illustrated with representative examples. We also describe current trends in the field of vaccines against non-infectious diseases, such as therapeutic vaccines against cancer and other diseases. Moreover, routes of administration relevant to vaccination and pharmaceutical aspects of vaccines are briefly discussed.